Buy All-in-one Brother MFC 620cn with CISS with CISS and make 30 times more quality prints for the same money! Pay only 0.04 USD for A-4 full color print! Brother MFC-620CN Inkjet Printer is a compact multipurpopse device. It will perfectly meet the requirements of reliability and efficiency. The device looks rather stylish and due to its small size it will surely fit any room. The MFC-620CN Brother All-in-One Printer is provided with printer, copier and scanner functions, while it is rather compact and its weight slightly exceeds 5 kg. The MFC-620CN Brother can print and scan both black-and-white and multicolor pictures, and the quality of its color prints is perfectly high. The device is quite effective. 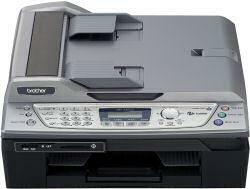 Its printing rate is 20 pages per minute in monochromatic mode and 15 pages per minute in color mode. Its color printing resolution is 1200 x 6000 dpi, which provides real and accurate prints. The device is capable of direct printing. The MFC-620CN Brother MFD can print directly from USB data stick due to the built-in card reader, which supports the most of the cards in use. Besides the device accepts a USB cable, by means of which it can be connected to a computer. Although the MFC-620CN Brother is a multifunction device, its operation is quite easy even for a child. Each printing mode corresponds to its own lit button, which provides trouble-free mode control of the device. The built-in storage capacity is 8Mb, which is enough for on-line operation with any documents. The extreme resolution printing reduces the device printing rate, which is common for all printer models. In some cases paper jams are possible. This problem can easily be cleared up, due to such design improvement of the Manufacturer as hinged cover plate. As well we would like to offer you a similar model MFC-3340CN Brother. Users of the MFC-620CN Brother All-in-One Printer appreciate its reliability and efficiency in their comments. For all those Customers who prefer products of Brother Company, we recommend to pay their attention to another excellent printer MFC-210C Brother, which is additionally provided with an automatic feeder. Now Brother office facilities are quite popular in Europe and USA, and Customers' interest to them is still growing due to the last presentations in such American cities as New York, Los Angeles, Chicago, Boston, Philadelphia. As the main problem, our Customers meet, is high cost of the original consumables, we offer to equip our MFD's with a Continuous Ink Supply System from INKSYSTEM Company. Combination of the MFC-620CN Brother with a CISS will let you replace the original ink cartridges with any other inks up to your choice according to their prices and quality. By using a CISS you will reduce your expenses for consumables by 30 times. 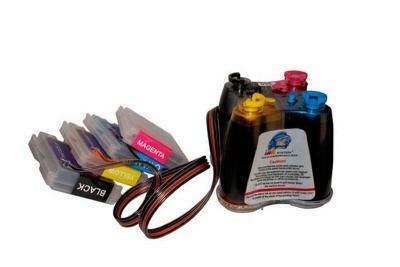 With the ink supply system you do not need to replace the whole cartridge when only one color ink is over. Just add that ink which is over depending on its real consumption. To sum up, we predict that soon this device will be in top demand at the market of office facilities, because it provides all needed office functions and has a number of advantages in its operation. The MFC-620CN Brother All-in-One can be a good assistant in either your home or office work. Carton Dimensions (W"xD"xH")	21.7" x 8.9" x 17.7"
Unit Dimensions (W"xD"xH")	17.9" x 15.8" x 6.5"
Unit Weight (lbs)	13.4 lbs.